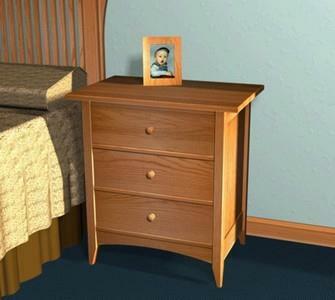 Create a comfortable bedroom with furniture you make yourself. 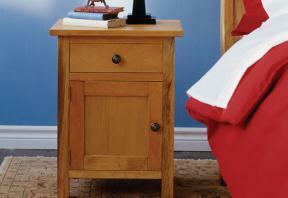 Choose from the free night stand plans below for ideas to create a dashing bedroom. 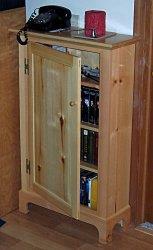 This plan is for an unusual night stand that has a single drawer at the top and two lower open storage shelves. 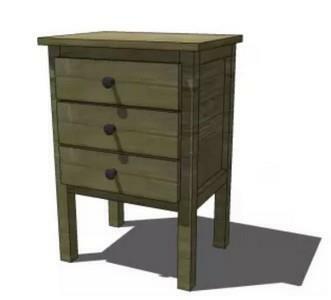 This is a plan for building an attractive three drawer night stand with industrial styled handles on black painted wood. 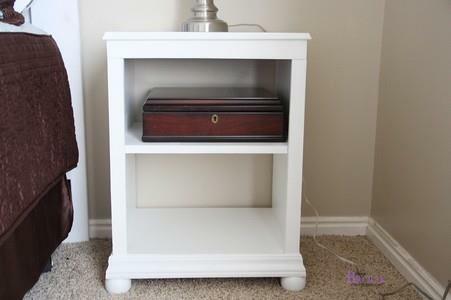 Build a side table with an open shelf that has four holes for running wires through for charging electronic items. 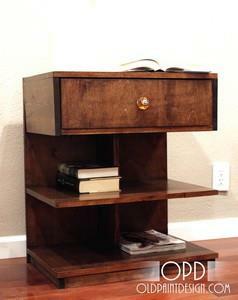 You can easily build this walnut and oak night stand with upper and lower storage with this plan. 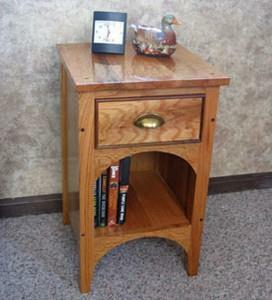 Here is a project for creating a night stand with an open front with two tall shelves plus bun styled feet. 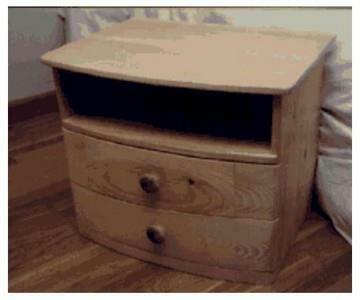 This space-safer bedside table mounts to the wall and has two side-by-side drawers and one wide bottom drawer. Use this project to make a lovely side table with long legs and three stacked drawers. 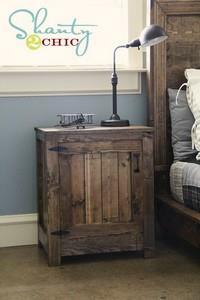 Paint or stain this attractive night stand or side table with a single front cabinet for storing personal items. This table has two large drawers plus a shelf area and the wood has been sanded for a curve shape. This table costs around $35 dollars to make and is quick and very easy to build. The top is three pieces of birch wood, dowelled and edge-glued together with breadboard ends covering the end grain. 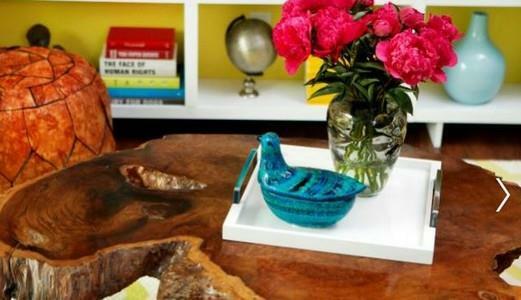 A table that offers plenty of storage yet takes up a small amount of space.